Have you ever had excess waste that you had trouble removing? 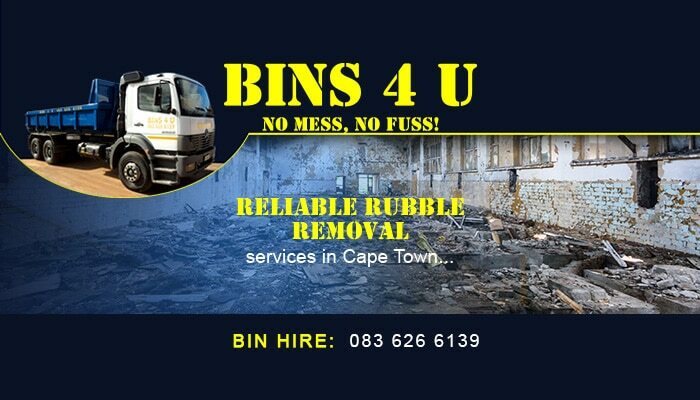 In a situation like this, you will need the services of a reliable waste removal company such as Bins 4 U. Bins 4 U is a professional in the skip hire industry and offers clients a range of waste removal services, including building rubble, garden refuse, factory waste and sand removal. 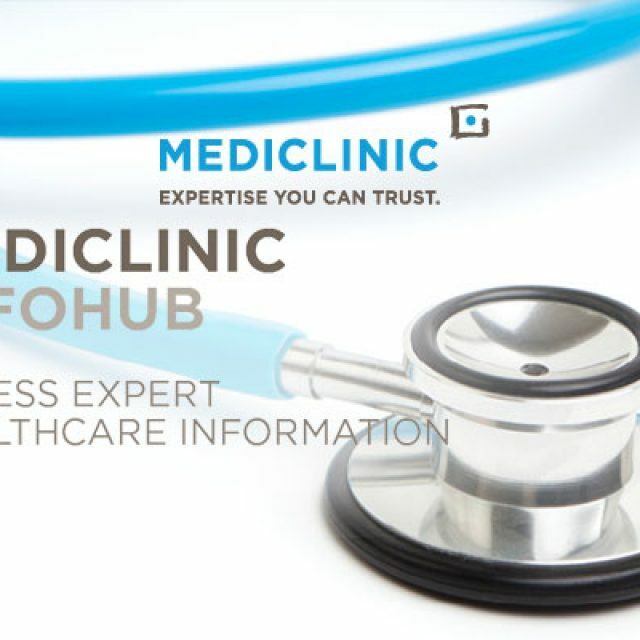 Being in operation for over two decades has ensured that we have learned all the tricks of the trade. 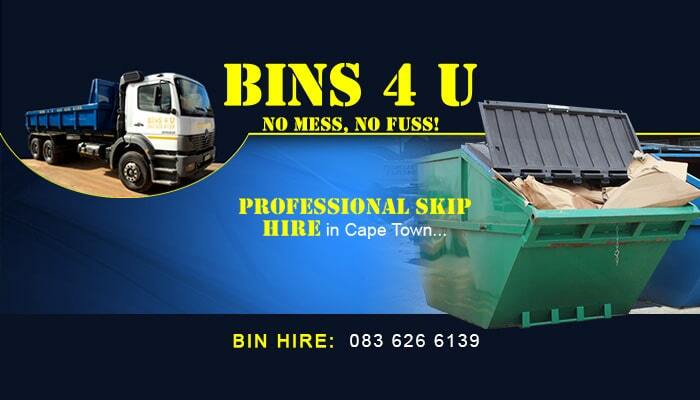 The team at Bins 4 U delivers quick and reliable service throughout the Western Cape. Rubble removal – the rubble we remove consists largely of building rubble that tends to be extremely difficult for property owners to remove, mainly due to the weight and volume of rubble. 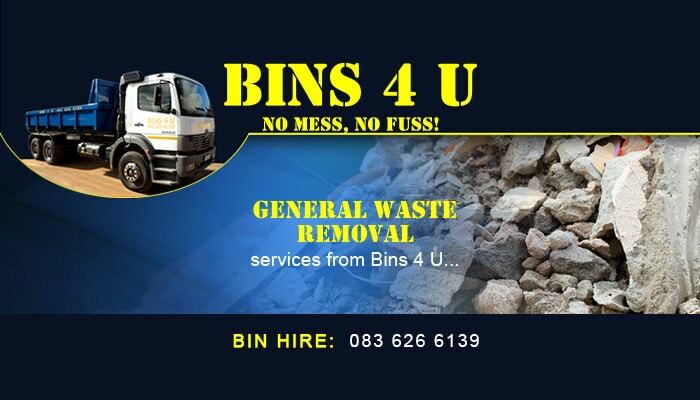 The Bins 4 U team will come to your premises to quickly and safely remove all building rubble. Sand Bins – we can remove sand using our large 8 cubic meter sand bins. Sand is often left over after building projects have been completed, leaving property owners with an unwanted mess afterwards. Bins 4 U will remove large amounts of leftover sand from any property. 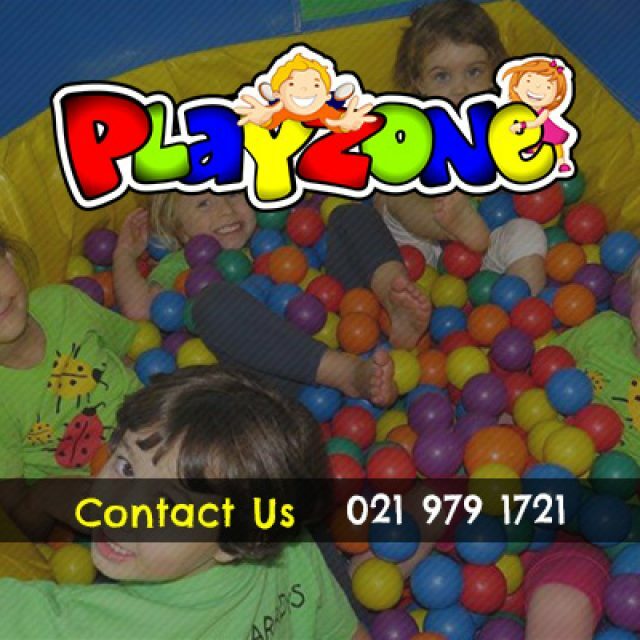 Garden refuse – we can get rid of that unsightly refuse that needs to be removed from your property. 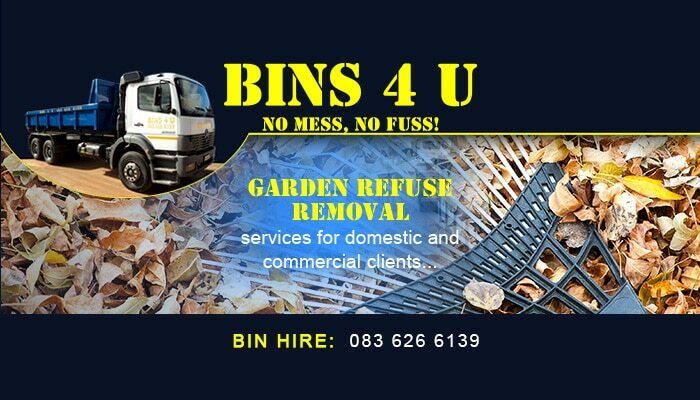 Bins 4 U can remove even the largest amount of garden refuse without any trouble, leaving our client’s property clear of any garden refuse, from large tree branches to leaf litter. Factory Waste – Bins 4 U also offers factory waste removal services. The company makes use of large 8 cubic meter bins, enabling us to remove large volumes of factory waste safely and efficiently. 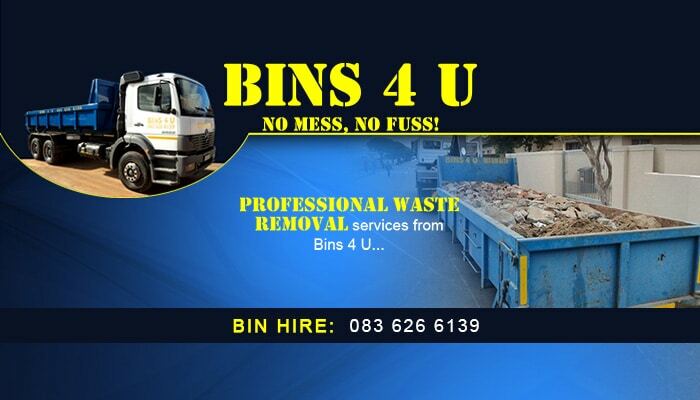 With the help of the services offered by Bins 4 U, property owners can have excess waste removed from their premises without any hassle! 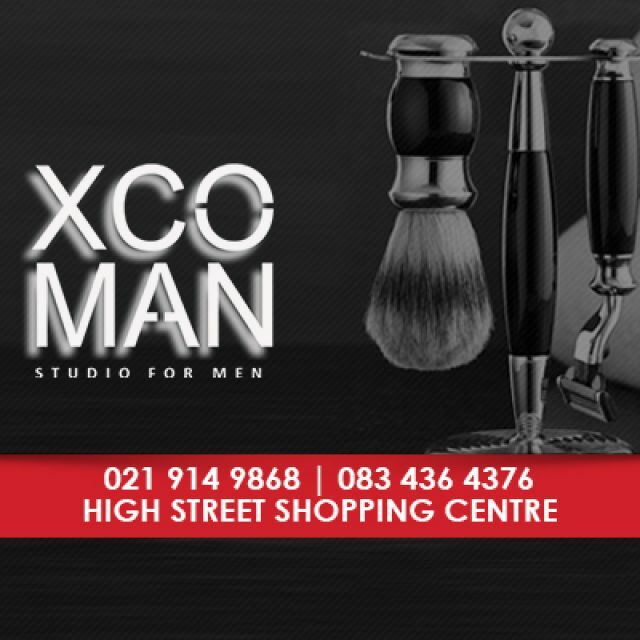 We offer a professional menu of grooming services exclusively for men including waxing, massage, tinting, facials as well as grooming of hands and feet. 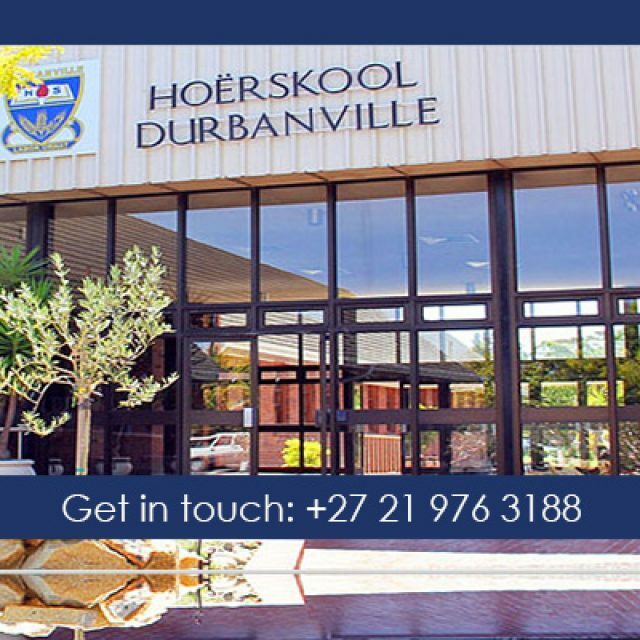 At Durbanville High School, our aim is to deliver top quality education.